Roger Pic, Bibliothèque nationale de France; Eric Molina André Malraux in 1974, two years before his death. 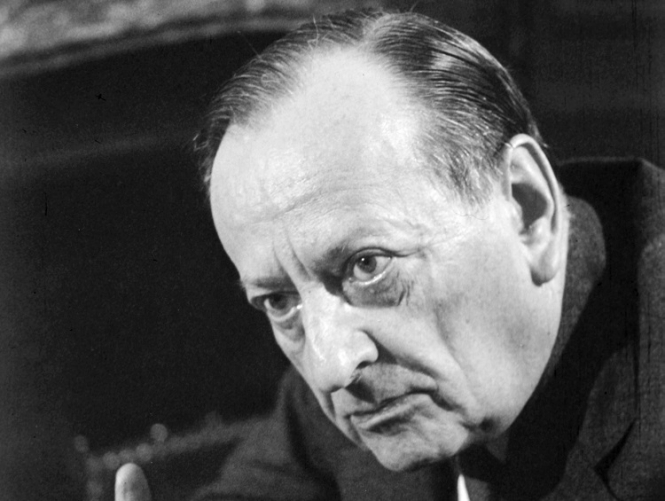 André Malraux was born at the dawn of the 20th century (1901), left school at 17 without passing his bac, and never enrolled for any further education. Despite this he became one of France’s most respected intellectuals; a famous author, an explorer, and a leading politician. His achievements were so legion that in 1996, twenty years after his death in 1976, his ashes were transferred to the Panthéon in honour of his legacy. From childhood he was withdrawn and painfully shy, suffering from a variety of tics which some biographers have taken to indicate that he had Tourette Syndrome. He had a vast appetite for all types of adventure however, and hero-worshiped figures such as Lawrence of Arabia, Victor Hugo and Michelangelo; men who excelled in a variety of ways, who were intellectuals as well as adventurers. So when he dropped out of school, he continued reading, watching films, going to plays, concerts and exhibitions, constantly expanding his knowledge of contemporary culture. Alone, he studied modern and classical art, visited museums and frequented arts’ haunts. He got a job with a publisher and in 1920 he published his first book, Lunes en Papier. He also devoured the writings of German philosopher Friedrich Nietzsche, transfixed by Neitzsche’s theory that the world is in continuous turmoil. He particularly aspired to be an ‘Übermensch’ – a heroic, exalted man who created great works of art and whose will alone would allow him to triumph over anything. In 1921 he went to Florence and Venice with translator and writer Clara Goldschmidt, whom he married upon their return to France. Funded by Clara’s substantial inherited income, they then travelled to Prague, Vienna, Berlin, Tunisia and Sicily. In 1923, his wife’s fortune was lost after a series of bad investments, and his travels came to a temporary end. Broke and grounded, Malraux gazed enviously at one of his favourite role models; Lawrence of Arabia (Colonel TE Lawrence).